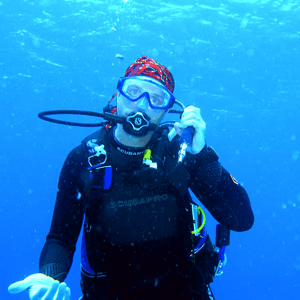 My name is Stephen Krausse and I have been a certified Open Water SCUBA diver since 2002 logging over 150 dives. I have trained in both recreational SCUBA diving with SCUBA Schools International (SSI) as well as technical diving with Technical Diving International (TDI) and currently work as an SSI Dive Control Specialist (Assistant Instructor) through High Plains SCUBA, our local SSI dive shop here in Fort Collins, CO. Diving has taken me to Australia, Bonaire, Turks & Caicos, The Channel Islands as well as many springs, lakes and reservoirs in Colorado, New Mexico and Utah.